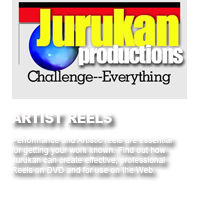 Watch episodes of Jurukan on QPTV and MNN cable Networks Ruben conducts Interviews on local talent. Watch On QPTV and UStream Mariana interview local personalities in Spanish. Watch a preview of performances soon. A bi-lingual musical version of this favorite fairy tale. Please visit our store. Your purchases help support our programming. 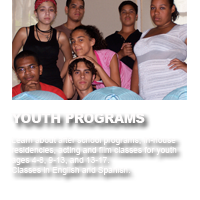 Programs you support are the Jurukan and Mariana's O-Varios Television Shows as well as our Patty Cake Children's Theater and our Youth and Adult Theater Programs. Page not ready yet. Please check back soon! Order a show or Donate now. from our shows and programs.